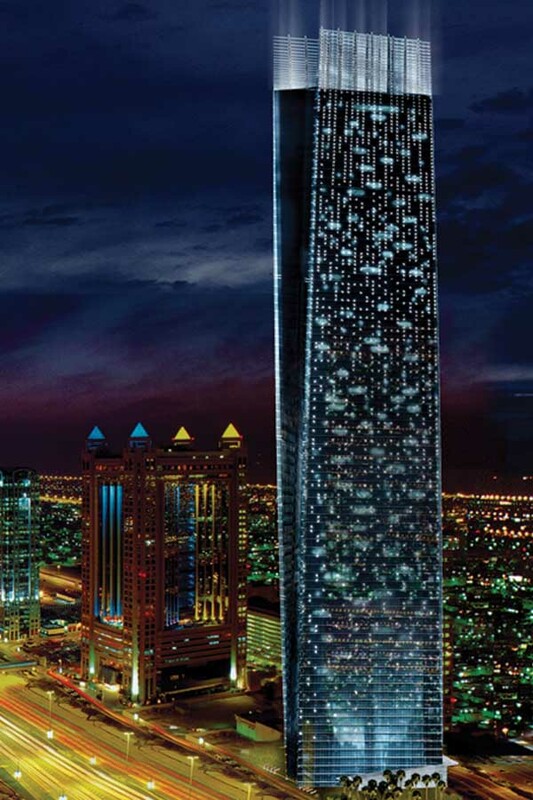 Situated on the upscale Sheikh Zayed Road, the 194m tall Sama Tower represents a truly modern design concept responding to the challenge of providing a unique and dynamic form combined with the most efficient and effective space planning. The theme is contemporary and reflects the vibrant and energetic urban scene of Dubai, whilst the form is dynamic and full of life. A trapezoidal floor plate with a gradually inverting geometry as one goes up represents a twist that is gentle, yet powerful. The reversing triangle also allows for a greater number of apartments to have better views: towards the sea on higher floors and towards the landscape and glitzy Sheikh Zayed Road on the lower floors. The ground & mezzanine floors are to house boutique retail & food and beverage outlets. Shell & core service is to be provided with fit outs selected by the individual tenants. Eight open plan offices fitted out to “A” grade standard will be provided on each of the 9 office floors. 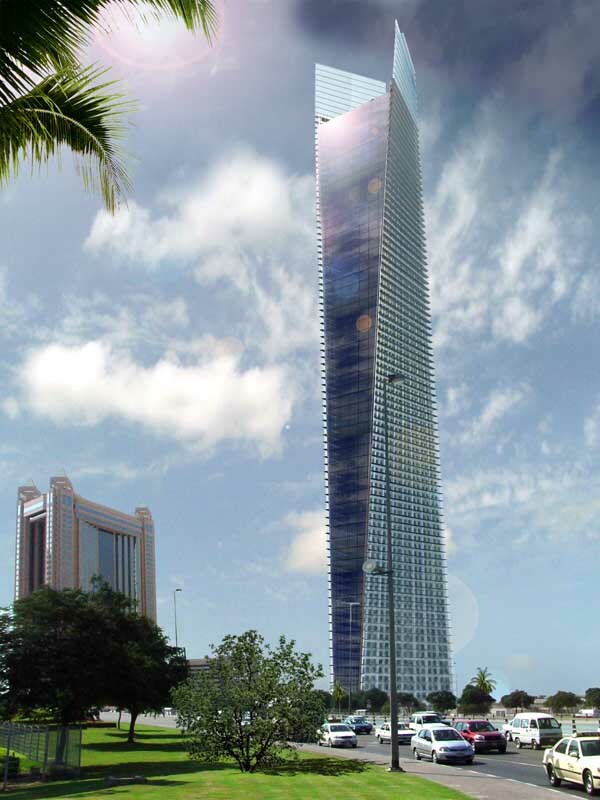 The 376 apartments comprise a mix of spacious one-, two- & three-bedroom semi-furnished luxury units. Again, finishes & fittings have been selected with great care to ensure that the apartments are classed among the most luxurious in the market. Facilities include a health club comprising among other features a modern gym, spa, squash court and a multi-purpose hall. A G+10 storey car park provides exclusive parking for tenants. Twenty-hour security coupled with card-controlled access for the tower and car park ensures peace of mind for the tenants. Atkins is contracted to carry out the entire design and site supervision services.